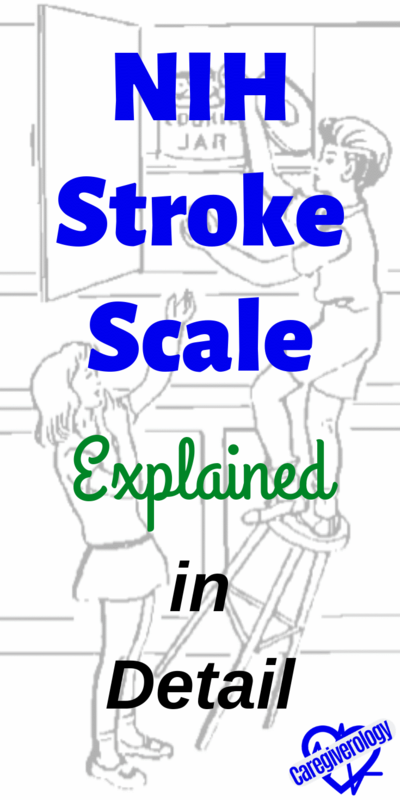 The NIH stroke scale is an assessment that is performed by medical professionals on patients in order to determine if they had a stroke. For someone who has had some practice, it should take no more than 10 minutes to complete it. For those who haven't done this before, it will take some time to do correctly. There are definitions in (parenthesis) for some of the lesser known terms used. For the results of each section of the test, the corresponding number should be noted. The sum of all 13 numbers determine the final score. Images and lists that are commonly used can be found towards the bottom of the page. This can be determined simply by giving the examination. The investigator must choose a response if a full evaluation is prevented by such obstacles as an endotracheal (ET) tube, language barrier, orotracheal trauma/bandages. A 3 is scored only if they make no movement (other than reflexive and posturing) in response to noxious (very unpleasant) stimulation. 1 Not alert, arouses to minor stimulation. 2 Not alert, requires repeated stimulation to arouse, or requires strong or painful stimulation to arouse. 3 Completely unresponsive, or only unintentional reflexes. Ask the patient what the current month is and what their current age is. The answers must be correct. There is no partial credit for being close. Aphasic (loss of ability to understand or express speech) and stuporous (not fully conscious) patients who do not comprehend the questions will score 2. Patients unable to speak because of endotracheal intubation, orotracheal trauma, sever dysarthria (slurred or slow speech that is difficult to understand) from any cause, language barrier, or any other problem not secondary to aphasia are given a 1. It is important that only the initial answer be graded and that the examiner does not help the patient with verbal or non-verbal cues. 0 Gets both questions right. 1 Gets only one question right, or there is a language barrier, or unable to speak due to trauma, or intubated. 2 Gets both questions wrong, or they are unable to speak (aphasic). Ask the patient to blink their eyes and make a fist in both hands. Substitute another one step command if the hands cannot be used. Credit is given if an unequivocal (leaving no doubt) attempt is made but not completed due to weakness. If they do not respond to command, the task should be demonstrated to them, and the result scored. Patients with trauma, amputation, or other physical impediments should be given suitable one-step commands. Only the first attempt is scored. 0 Performs both tasks correctly. 1 Performs only one task correctly. 2 Performs neither task correctly. Hold your finger about a foot in front of the patient's face and ask them to follow it. Slowly move it up and down and side to side. Check their eyes for abnormal activity. Only horizontal (up and down) eye movements will be tested. Oculocephalic (voluntary or reflexive) eye movements will be scored, but caloric testing (injecting water into the ear canal) is not done. If the patient has a conjugate deviation of the eyes (turning of the eyes in parallel and at the same time, which is normal), that can be overcome by voluntary or reflexive activity, the score will be one. If they have an isolated peripheral nerve paresis (slight or incomplete paralysis), score a 1. Gaze is testable in all aphasic (partial or total loss in the ability to communicate) patients. Patients with ocular trauma, bandages, pre-existing blindness, or other disorder of visual acuity or fields should be tested with reflexive movements, and a choice made by the investigator. Establishing eye contact and then moving about the patient from side to side will occasionally clarify the presence of a partial gaze palsy (limited movement in one direction). 1 Partial gaze palsy; gaze is abnormal in one or both eyes, but forced deviation or total gaze paresis is not present. 2 Forced deviation, or total gaze paresis not overcome by the oculocephalic maneuver. Hold up a certain amount of fingers about a foot in front of, but slightly to the side, of the patient's head. Ask them to tell you how many fingers you are holding up. Do this in four separate corners creating a virtual square around their head. Visual fields (upper and lower quadrants) are tested by confrontation, using finger counting or visual threat, as appropriate. Patients may be encouraged, but if they look at the side of the moving fingers appropriately, this can be scored as normal. If there is unilateral blindness or enucleation (removal of the eye while leaving the eye muscles and remaining orbital contents intact), visual fields in the remaining eye are scored. Score 1 only if a clear-cut asymmetry (lack of symmetry), including quadrantanopia (defect affecting a quarter of the visual field), is found. If they are blind from any cause, score 3. Double simultaneous stimulation is performed at this point. If there is extinction (inability to perceive multiple stimuli of the same type simultaneously), score 1, and the results are used to respond to item 11. 1 Partial hemianopia (recognizes no visual stimulus in one specific quadrant). 2 Complete hemianopia (recognizes no visual stimulus in one half of the visual field). 3 Bilateral hemianopia; blind including cortical blindness (loss of vision caused by damage to the brain's occipital cortex). Ask, or use pantomime (express with movement) to encourage, the patient to show their teeth or raise their eyebrows and close their eyes. Score symmetry of grimace in response to noxious (very unpleasant) stimuli in the poorly responsive or non-comprehending patient. If facial trauma/bandages, orotracheal tube, tape, or other physical barriers obscure the face, these should be removed to the extent possible. 1 Minor paralysis (flattened nasolabial fold, asymmetry on smiling). 2 Partial paralysis (total or near-total paralysis of lower face). 3 Complete paralysis of one or both sides (absence of facial movement in the upper and lower face). The arm is placed in the appropriate position: extend the arms (palms down) 90 degrees upward (if sitting) or 45 degrees upward (if supine (lying flat)). Ask them to keep their arm in this position for 10 seconds. Repeat with the other arm. Drift is scored if the arm falls before 10 seconds. The aphasic (non-verbal) patient is encuraged using urgency in the voice and pantomime (express with movement), but not noxious (very unpleasant) stimulation. Each limb is tested in turn, beginning with the non-paretic (strongest) arm. Only in the case of amputation or joint fusion at the shoulder, the examiner should record the score as untestable (UN), and clearly write the explanation for this choice. 0 No drift; limb holds 90 (or 45) degrees for a full 10 seconds. 1 Drift; limb holds 90 (or 45) degrees, but drifts down before full 10 seconds; does not hit the bed or other support. 2 Some effort against gravity; limb cannot get to or maintain (if cued) 90 (or 45) degrees, drifts down to the bed, but has some effort against gravity. 3 No effort against gravity; limb falls. UN Amputation or joint fusion. The leg is placed in the appropriate position: hold the leg at 30 degrees upward (always tested supine (lying flat)). Ask them to keep their leg in this position for 5 seconds. Repeat with the other leg. Drift is scored if the leg falls before 5 seconds. The aphasic (non-verbal) patient is encouraged using urgency in the voice and pantomime (express with movement), but not noxious (very unpleasant) stimulation. Each limb is tested in turn, beginning with the non-paretic (strongest) leg. Only in the case of amputation or joint fusion at the hip, the examiner should record the score as untestable (UN), and clearly write the explanation for this choice. 0 No drift; leg holds 30-degree position for a full 5 seconds. 1 Drift; leg falls by the end of the 5-second period but does not hit the bed. 2 Some effort against gravity; leg falls to the bed by 5 seconds, but has some effort against gravity. 3 No effort against gravity; leg falls to the bed immediately. Hold your finger about two feet in front of the patient's face. Ask them to touch the tip of your finger with their own finger and then touch their nose. Repeat this with the other hand. Have them slide their heel down the shin of their opposite leg. Repeat this with the other leg. This item is aimed at finding evidence of a unilateral cerebellar lesion. Test with both eyes open. In case of visual defect, ensure testing is done in intact visual field. The finger-nose-finger (have patient touch your finger and their nose) and heel-shin (have patient slide their heel down their shin) tests are performed on both sides, and ataxia is scored only if present out of proportion to weakness. Ataxia is absent in they can't understand or are paralyzed. Only in the case of amputation or joint fusion, the examiner should record the score as untestable (UN), and clearly write the explanation for this choice. In case of blindness, test by having the patient touch their nose from an extended arm position. 1 Present in one limb. 2 Present in two limbs. Using a safety pin, gently poke each extremity and both sides of the face. After each poke, ask if they felt anything. Sensation or grimace to pinprick when tested, or withdrawal from noxious (very unpleasant) stimulus in the obtunded (drowsy) or aphasic (non-verbal) patient. Only sensory loss attributed to stroke is scored as abnormal and the examiner should test as many body areas (arms (not hands), legs, trunk, face) as needed to accurately check for hemisensory loss (altered sensation). A score of 2 "severe or total sensory loss," should only be given when a severe or total loss of sensation can be clearly demonstrated. Stuporous (not fully conscious) and aphasic patients will, therefore, probably score 1 or 0. The patient with brainstem stroke who has bilateral loss of sensation is scored 2. If the patient does not respond and is quadriplegic (paralysis of all 4 limbs), score 2. Patients in a coma (item 1a=3) are automatically given a 2 on this item. 0 Normal; no sensory loss. 1 Mild-to-moderate sensory loss; patient feels pinprick is less sharp or is dull on the affected side; or there is a loss of superficial pain with pinprick, but they are aware of being touched. 2 Severe to total sensory loss; patient is not aware of being touched in the face, arm, and leg. A great deal of information about comprehension will be obtained during the preceding sections of the examination. 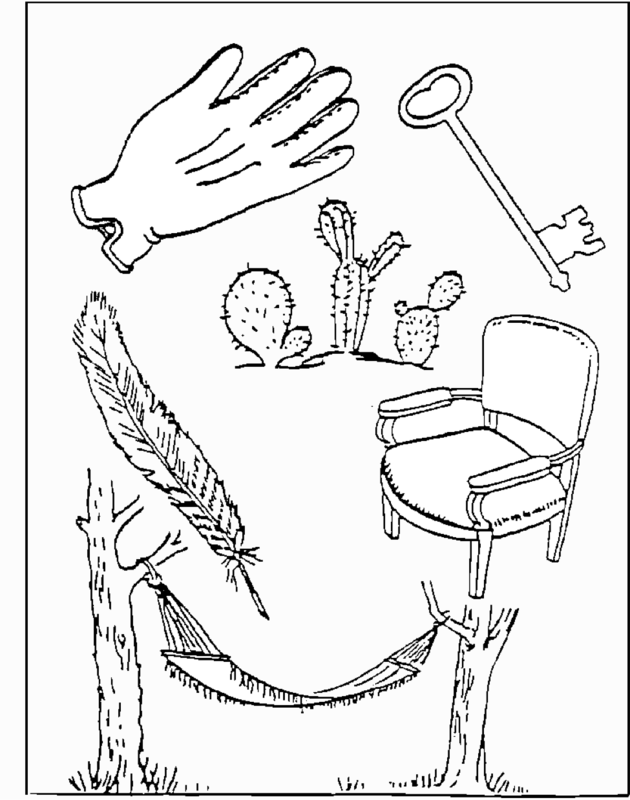 For this scale item, the patient is asked to describe what is happening in a picture (Image 1), to name the items on a naming sheet (Image 2) and to read from a list of sentences (listed here). Comprehension is judged from responses here, as well as to all of the commands in the preceding general neurological exam. If visual loss interferes with the tests, ask them to identify objects placed in the hand, repeat, and produce speech. The intubated patient should be asked to write. The patient in a coma (item 1a=3) will automatically score 3 on this item. The examiner must choose a score for the patient with stupor (nearly unconscious) or limited cooperation, but a score of 3 should be used only if the patient is mute (does not speak) and follows no one-step commands. 0 No aphasia; normal; verbal. 1 mild-to-moderate aphasia; some obvious loss of fluency or facility of comprehension, without significant limitation on ideas expressed or form of expression. Reduction of speech and/or comprehension, however, makes conversation about provided materials difficult or impossible. For example, in conversation about provided materials, examiner can identify picture or naming card content from patient's response. 2 Severe aphasia; all communication is through fragmentary expression; great need for inference, questioning, and guessing by the listener. Range of information that can be exchanged is limited; listener carries burden of communication. Examiner cannot identify materials provided from patient response. 3 Mute, global aphasia; no usable speech or auditory comprehension. If patient is thought to be normal, an adequate sample of speech must be obtained by asking them to read or repeat words from a list (Listed here). If they have severe aphasia (loss of ability to understand or express speech), the clarity of articulation of spontaneous speech can be rated. Only if they are intubated or have other physical barriers to producing speech, the examiner should record the score as untestable (UN), and clearly write an explanation for this choice. Do not tell them why they are being tested. 1 Mild-to-moderate dysarthria; patient slurs at least some words and, at worst, can be understood with some difficulty. 2 Severe dysarthria; patient's speech is so slurred as to be unintelligible in the absence of or out of proportion to any dysphasia (deficiency in the generation of speech), or is mute/anarthric (loss of motor ability that enables speech). UN Intubated or other physical barrier. 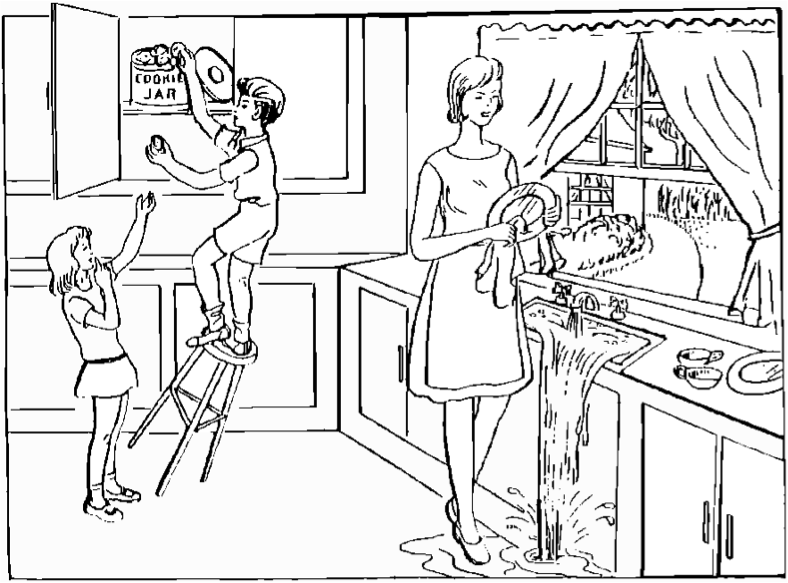 Sufficient information to identify neglect may be obtained during the prior testing. If they have a severe visual loss preventing visual double simultaneous stimulation, and the cutaneous (skin) stimuli are normal, the score is normal. If they have aphasia (non-verbal) but appears to attend to both sides, the score is normal. The presence of visual spatial neglect or anosognosia (unaware of existence) may be taken as evidence of abnormality. Since the abnormality is scored only if present, the item is never untestable (UN). 1 Visual, tactile, auditory, spatial, or personal inattention or extinction to bilateral simultaneous stimulation in one of the sensory modalities. 2 Profound hemi-inattention or extinction to more than one modality; does not recognize own hand or orients to only one side of space. Image 1: Describe what is happening in this picture. Image 2: Name the items in this picture.